Ocrevus is indicated for the treatment of multiple sclerosis, an autoimmune disease. Image courtesy of BruceBlaus. 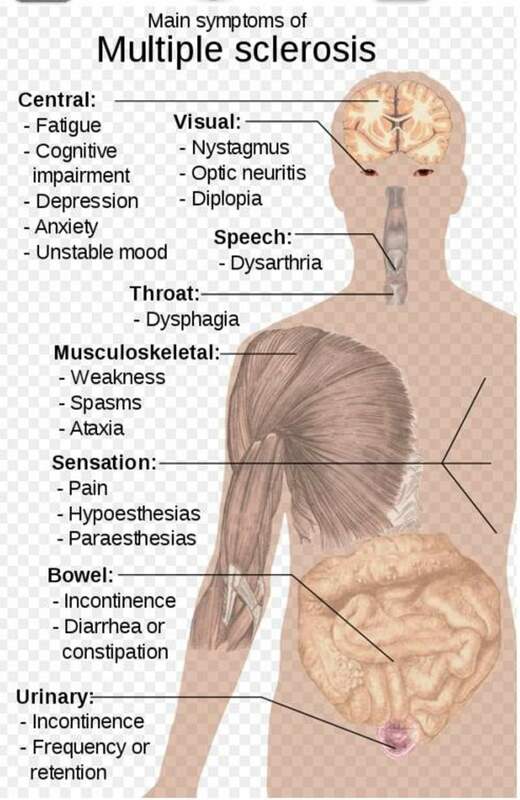 Multiple sclerosis is associated with symptoms such as fatigue, blurred vision, and numbness in different parts of the body. Ocrelizumab selectively targets the CD20-positive B cells by binding to the surface proteins of the cells. Image courtesy of National Library of Medicine. Developed by Genentech, Ocrevus (ocrelizumab) is indicated for the treatment of relapsing multiple sclerosis (MS) and primary progressive MS. The US Food and Drug Administration (FDA) granted breakthrough therapy designation for Ocrevus on 16 February 2016, and the biological license application (BLA) and marketing authorisation application (MAA) for Ocrevus were respectively accepted for review by the US FDA and European Medicines Agency (EMA) in June 2016. The drug was approved by the FDA in March 2017, while the European Commission (EC) granted marketing authorisation in January 2018. Ocrevus also received marketing approval from the Australian Therapeutic Goods Administration (TGA) and the Swiss agency for the authorisation and supervision of therapeutic products (Swissmedic) in July 2017 and September 2017, respectively. 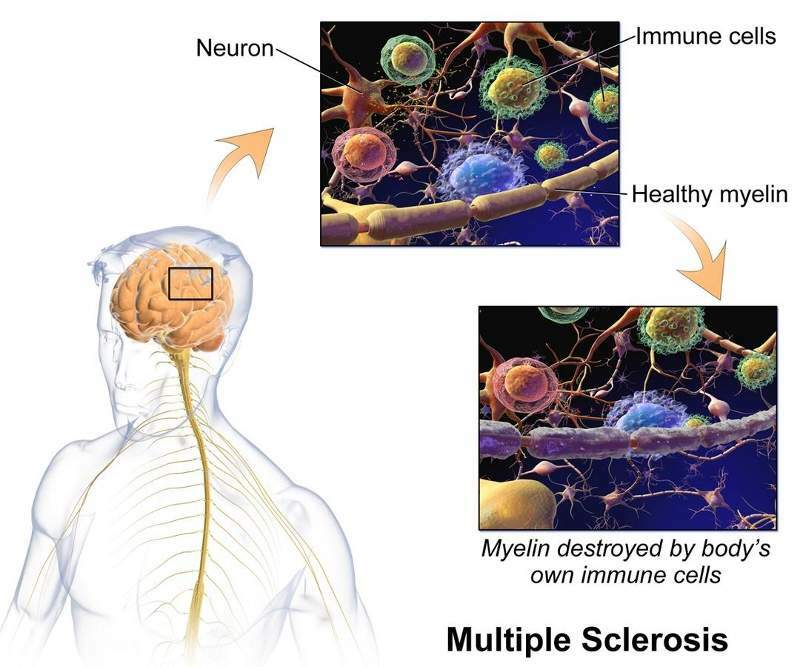 Ocrevus is one of the first drugs to be approved as a treatment for two forms of MS.
MS is an autoimmune disease that affects either the brain or spinal cord of the central nervous system (CNS). The condition causes serious damage to the myelin sheath of the nerves, which acts as a protective layer. MS is categorised into two types, relapsing MS and primary progressive MS. Relaspsing MS is associated with new episodes of symptoms or relapses that repeat over a few days and can persist for months. Primary progressive MS is associated with gradually worsening symptoms over a number of years. The disease normally includes symptoms such as fatigue, blurred vision, numbness in different parts of the body, muscle stiffness and spasms, problem in balancing and co-ordination of the body, loss of bladder control, and difficulty in thinking, learning and planning. Ocrevus is a humanised monoclonal antibody that inhibits the growth of the CD20-positive B lymphoma cell lines, which play a major role in damaging nerve cells and the myelin sheath around the nerves. 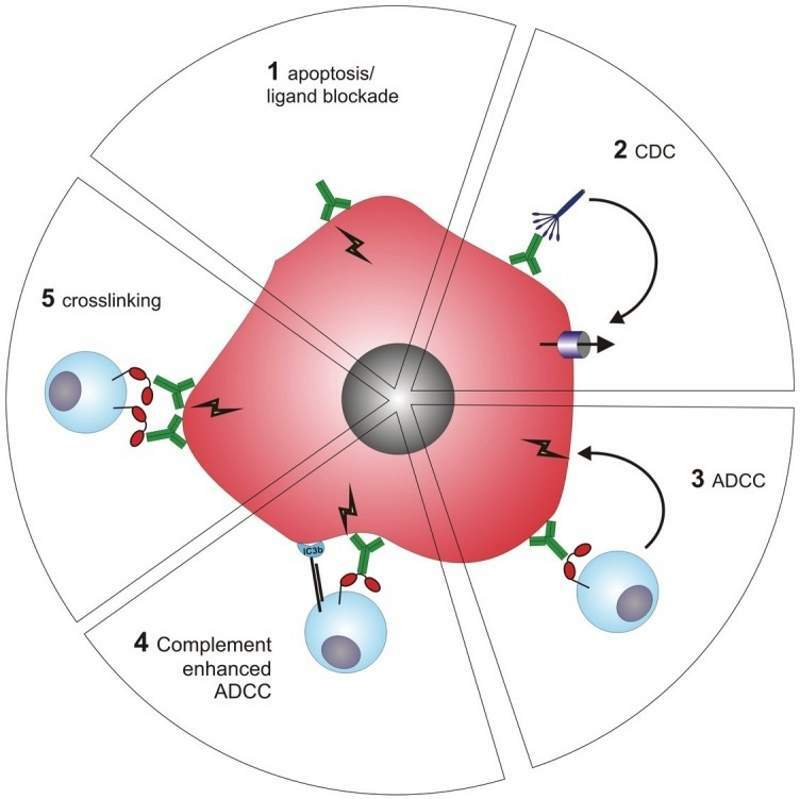 Ocrelizumab selectively targets the CD20-positive B-cells by binding to the surface proteins of the cells and protecting the nerve cells from mediated damage caused by CD20-positive B lymphoma cell lines. The BLA and MAA for Ocrevus were submitted based on results obtained from a Phase III clinical development programme named ORCHESTRA, which included the OPERA I, OPERA II and ORATORIO trials. OPREA I and OPERA II were Phase III, randomised, double-blind, multi-centre, identical studies conducted on 1,656 relapsing MS patients worldwide. The trials were conducted to examine the safety and efficacy of ocrelizumab in comparison with interferon beta-1a. The subjects in the trial were randomised to receive either 600mg of Ocrelizumab administered intravenously every six months or 44mg of interferon beta-1a administered subcutaneously three times a week. Both the trials met the primary and secondary end point of significantly reducing the annualised relapse rate (ARR) and delaying confirmed clinical disability progression (CDP). Ocrelizumab reduced the ARR by 50% when compared to interferon beta-1a over a period of two years and delayed confirmed disability progression by 40% at both 12 weeks and 24 weeks when compared with interferon beta-1a. In addition, Ocrelizumab significantly reduced inflammations, brain injury, number of T1 gadolinium-enhancing lesions and hyper intense T2 lesions associated with the disease. ORATORIO was a Phase III, randomised, double-blind, global multi-centre trial conducted on 732 patients with primary progressive MS. The subjects in the trial were randomised to receive either two infusions of 300mg of Ocrelizumab during the treatment cycle or placebo. Ocrelizumab demonstrated a significant reduction in CDP at 12 and 24 weeks, as well as decreased the volume of T2 lesions and reduced the rate of whole brain volume loss when compared to placebo. The most common adverse reactions observed during the trials were mild-to-moderate infusion-related reactions and infections. ImmunoPrecise Antibodies is a leading provider of custom monoclonal and polyclonal antibody development. 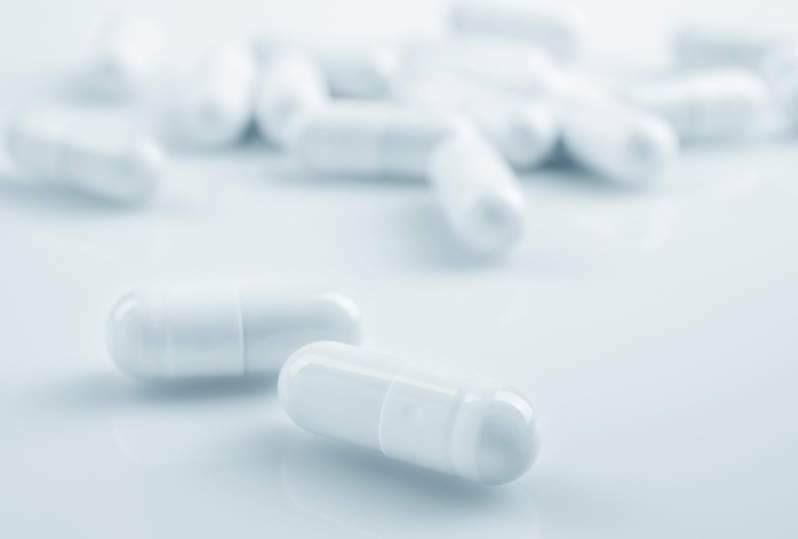 The main goal of Peptide Specialty Laboratories (PSL) is the production of any kind of peptides, from milligram to gram amounts and with lengths between five and 50 amino acids. We guarantee that our peptides all are HPLC-purified and analyzed by mass spectrometry.